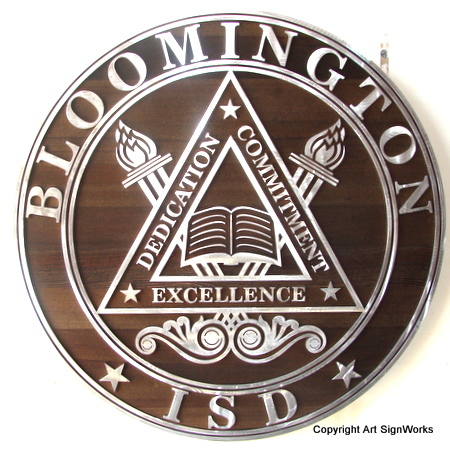 Above is an aluminum-clad 2.5D flat relief carved Western Red Cedar wall plaque, with the seal of Bloomington Integrated School District. The plaque is carved with raised letters and art from Cedar and stained, and then very thin aluminum text and art is cut from a sheet with our computerized router and epoxied to the the wood. This plaque is 30 inches in diameter.